The Rich Content Editor is available for posting content. It is supported by the following Canvas features: Announcements, Assignments, Discussions, Pages, Quizzes, and Syllabus. This area can be used as a place to give your Canvas item a title or subject line. 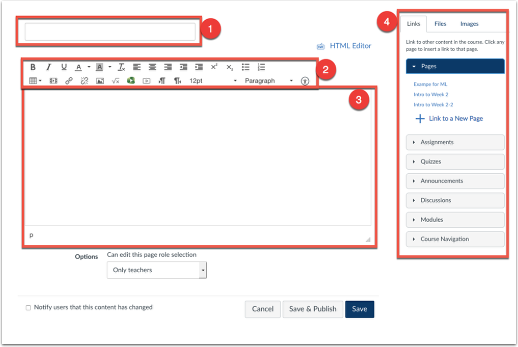 The formatting toolbar  allows you to add, embed, and format content. Types of items you can embed include, tables, record audio, insert links, embed content from Media Library, and much more. Embedded content will be placed in this area of the rich content editor. It is important to place your cursor in the editor where you want the link to your items to appear. 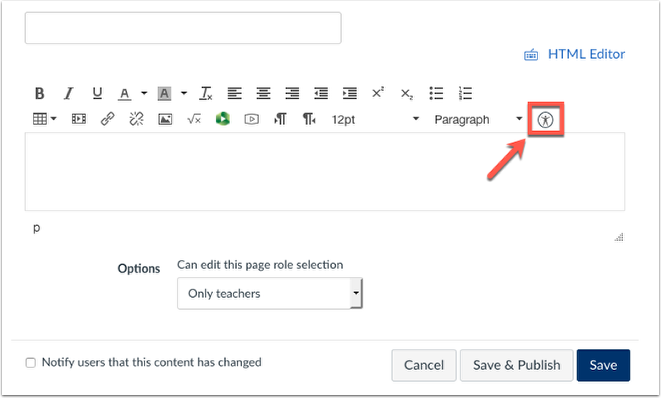 The Content Selector Panel allows you to embed course Pages, Assignments, Announcements, Discussions, Modules, and tabs from the Course Navigation into the Rich Content Editor. You can also select files within the Files tab of the course, or Images. Please Note: if the Content Selector Panel is not to the right of your screen, scroll to the bottom of the page to view it, or decrease the text size of your browser. 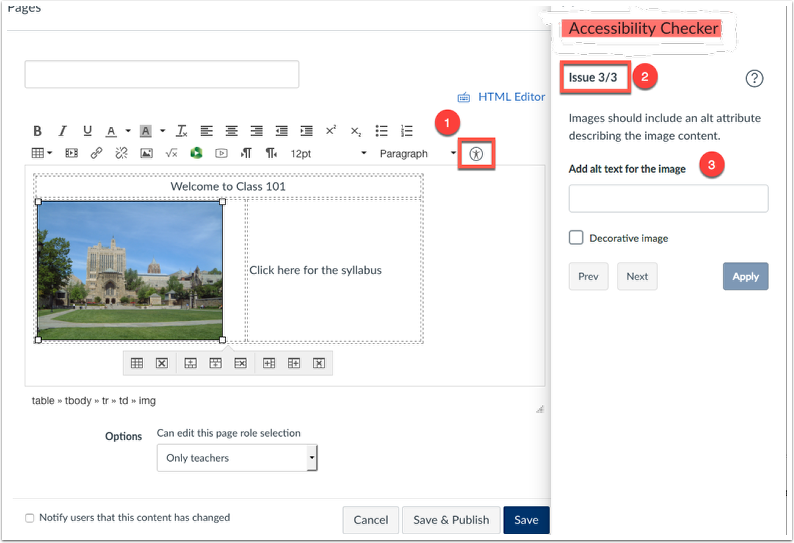 The Rich Content Editor Accessibility Checker assists instructors and course designers to maintain accessibility requirements in Canvas content. This tool only verifies content created within the Rich Content Editor. Clicking on the Accessibility Checker icon  will notify you of potential accessibility errors .